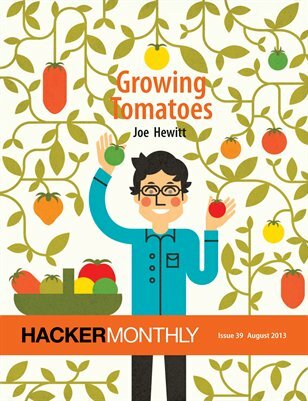 The 39th issue features "Growing Tomatoes" by Joe Hewitt on the cover, and "Exploding Toilet" by Patrick Smith. Also, we have "Making A Physical Product", "The Freelancer's Guide to Recurring Revenue", "Vim After 11 Years", "Programmer, Interrupted", "Sleep: Everything You Need to Know" and more. Enjoy.